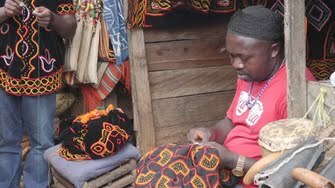 Whether one values them as decorations or as practical items, African handicrafts tell a lot about the societies that produce them. 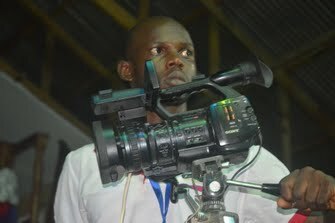 Here in Bamenda, in northwest Cameroon, it is clear that the culture is rich with color. Each item has its own significance. Drums symbolize communication. Masks symbolize local gods, and can be used in religious ceremonies. Country bags carry kola nuts which are handed out in friendship. From the lush forests, to the shimmering lakes to the traditional palaces, northwest Cameroon has more than its share of beauty. 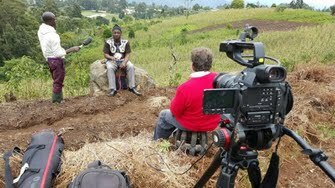 Filming a documentary in Cameroon for CCTV AFRICA.